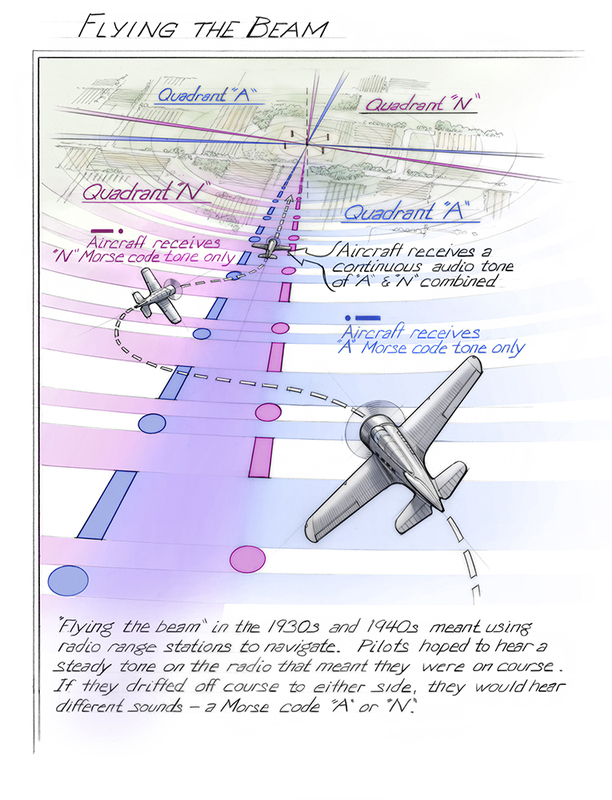 “Flying the beam” in the 1930s and 1940s meant using radio range stations to navigate. Pilots hoped to hear a steady tone on the radio that meant they were on course. If they drifted off course to either side, they would hear different sounds—a Morse code “A” or “N”.